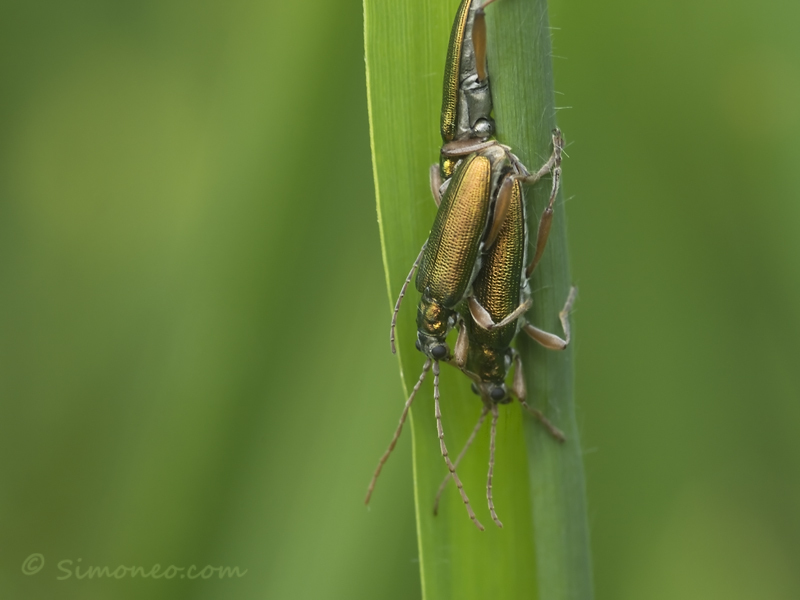 Common reed beetle (donacia vulgaris/rietkever). Attractive copper-coloured species with a. Mouch of 'si-fi' in their appearance. Females are almost twice as big as males. Exif: ISO 200, F8, 1/40 sec, 105 mm.